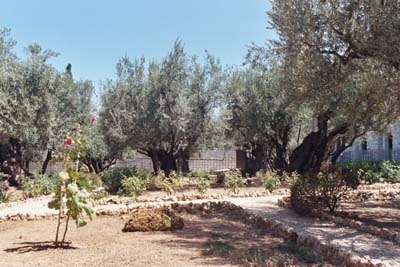 Whether standing on Mt Carmel or sitting in the Garden of Gethsemane, one is struck by the many groves of olive trees. Some are relatively new; others may have stood in Jesus’ day. Especially fascinating is the old gnarled tree that is, at the same time both ugly, twisted, and old, yet strong, wise, and beautiful. If you look carefully, you will see that there are new branches coming out of the stump even though the roots of the tree could be thousands of years old. In the case of this tree, only the groomsman would be able to tell us whether these new branches were grafted in or they sprouted on their own. 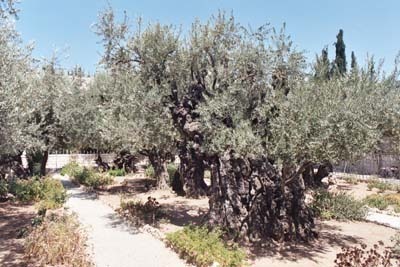 Olive trees can grow on almost any soil and can flourish in great heat with little water. They are virtually indestructible; even when they are cut down, new life will grow back from the roots. The olive tree has played a highly significant role throughout the history of Israel. Physically it provided a source of food, medicine, fuel, and a base for the anointing oil of kings and priests. Spiritually, it represents faithfulness, steadfastness, endurance, new life, and a host of other good things. And, of course, the olive leaf has become a universal symbol of peace. If some of the branches have been broken off, and you, though a wild olive shoot, have been grafted in among the others and now share in the nourishing sap from the olive root, do not boast over those branches. If you do, consider this: You do not support the root, but the root supports you. … And if they [Israel] do not persist in unbelief, they will be grafted in, for God is able to graft them in again. After all, if you were cut out of an olive tree that is wild by nature, and contrary to nature were grafted into a cultivated olive tree, how much more readily will these, the natural branches, be grafted into their own olive tree! Many other lessons could be gleaned from the olive tree, but the most beautiful one is that of the Messiah as a branch growing from it. This tender branch, stemming from an old and weathered tree, has become the King of Israel, and to his glory, has even taken on the Name of God himself! “The days are coming,” declares the LORD, “when I will raise up to David a righteous Branch, a King who will reign wisely and do what is just and right in the land. In his days Judah will be saved and Israel will live in safety. This is the name by which he will be called: The LORD Our Righteousness.